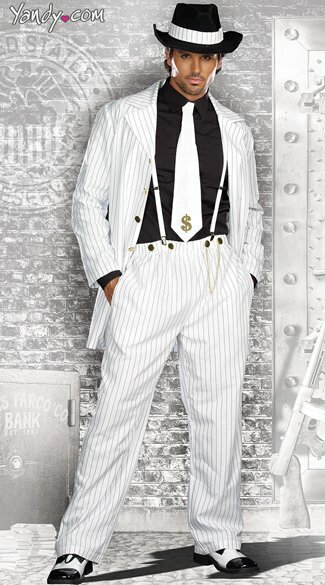 The men's, Zoot Suit Riot costume includes a button front longer length pinstripe zoot suit with matching pants with side pocket and gold chain detail. Includes adjustable removable elastic suspenders, matching hat and neck tie with $ sign detail. (Men's black shirt not included).